The Kabubbu Development Project (KDP) is Quicken Trust’s partner on the ground in Uganda. Together they are working to transform the lives of hundreds of villagers in Kabubbu blighted by poverty and disease. The KDP is a registered NGO (a charity) in Uganda. All of the teachers, nurses, cooks, drivers, guards, cleaners and others working for Quicken Trust/KDP in Kabubbu are officially employed by the KDP. There are currently around 100 staff. The KDP was set up as the Quicken Trust began its work in Kabubbu in 2000. 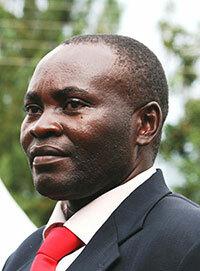 The Executive Director is Enoch Kagoda, who first came to Kabubbu to be the head of the Primary School. Seven heads of department report to him. There is also a board, which includes the two members of Quicken Trust – Geoff and Geraldine Booker. The KDP currently provides unskilled work for local people. Professional staff must be recruited from further afield – usually Kampala — because most adults in the village have been denied the education necessary for such roles. But an ambition of the KDP is to see that change. Some of the young people educated in Kabubbu over the past decade are returning to pass on their skills to a new generation of youngsters, and are working for the project. The Quicken Trust organises regular training sessions for KDP staff, where they learn management and leadership skills as well as budgeting, marketing, development and team-working. 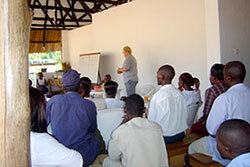 Such seminars are often delivered by volunteers from the UK. The aim is to empower staff in the move towards self-sufficiency in Kabubbu. There are also Retreat Weekends aimed at building up all levels of staff. The Quicken Trust and the KDP have built houses on site for the schoolteachers and nurses. By providing housing, two meals a day and a pension scheme, the charities believe they are honouring professionals who have chosen to live in a rural area rather than commute from the capital. Quicken believes respecting staff produces higher teaching standards.